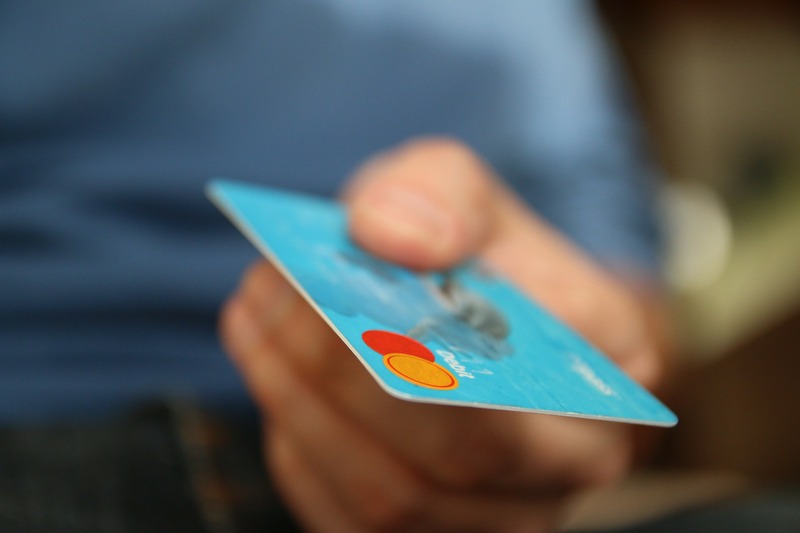 Credit cards can be a great substitute for cash; they allow you to pay for items with your own funds later and are especially helpful in emergency situations. More importantly, though, their biggest benefit is perhaps that they also provide you with the ability to build you credit, which is important to have when you go to make large purchases like your first home or a vehicle. In fact, some may argue building credit should be the primary use of a credit card. Annual Percentage Rate (APR). Your APR is the rate at which your card accrues interest. In simpler terms, it is the rate you pay per year on borrowed money. Those who plan on or are able to pay their balance off in full each month will not need to worry about this as much, but it is still a safe bet to compare and contrast APR’s, especially if this is your first credit card. The lower this number is, the less interest you will have to pay. Rates will typically vary in a range, commonly starting from around 11% to 22% or higher. In recent years, interest rates are actually becoming based more on the cardholder’s credit score. If you are still trying to build credit, a single fixed-rate card versus a variable rate option may be the best choice for you. Cardholder beware though; paying late or going over your credit limit can still cause fixed interest rates to change. Don’t be lured in by promotional rates without reading the fine print. Be completely aware of when rates will go up to normal. You will be able to review any information sent to you or published on the companies’ websites. Balance transfer fees.Benefits of transferring existing balances from one card to another would be a promised decreased interest rate. However, this is only beneficial if the balance transfer fees are less than what you would be paying on your original card, including interest. Annual fees. You may want to look for cards without any annual fees. Be sure to make sure advertised waived annual fees are part of the credit card policy and not just a temporary promotion. Foreign transaction fees. Purchases made on the card outside of the United States. Cards do exist without any foreign transaction fees; it all depends on your lifestyle and what you need in a credit card. Cash back/loyalty points. Incentive programs that may suit you best may be ones that give you points or rewards for items you plan to purchase anyway. Be on the look out for rewards programs that may charge extra for utilization though. You will also want to keep an eye out for programs that have flexibility. Many of these offer discounts on gas, groceries or even travel. Another incentive some companies offer is to give you cash back depending on how much you spend. You may need to see if you qualify for such an offer, but a lower interest rate may ultimately be a better route for you. One last thing to keep in mind not mentioned on the list is that credit card issuers can also make changes to aspects of your card, such as the interest rates, but they are required to provide ample notice first. So, be sure to pay attention to any and all paperwork or notifications from the issuers to avoid issues. Before deciding to sign up for a credit card, make sure you know also have a clear frame of mind of what you plan to use it for with an intention to also pay it back on time. As long as you pay attention to your rates, understand your card and know your spending limits, your credit card can be a very useful tool for you financially. Costco Switches to Visa: What Does the Switch Mean for You? The official change from American Express to Visa for Costco customers is quickly approaching. Costco announced that it would change its co-branded credit cards from AmEx to Visa on the first day of April in 2016. However, Costco has pushed the switch back to the summer of 2016, so there is still time for Costco cardholders to prepare for the change. While this big move has been getting plenty of talk, a lot of people seem to be a bit confused by it. What does Costco’s move from AmEx to Visa mean for you? Costco’s announcement basically stated that the company would no longer be carrying the co-branded American Express credit cards. Instead, its co-branded cards would be through Visa. They will also only be accepting Visa credit cards as well as Visa and Mastercard debit cards, so this is bad news for AmEx cardholders that want to use their credit card when shopping at Costco. The wholesale retailer and American Express began their partnership in 1999. The American Express partnership, at first, offered a single card to Costco members: The American Express Costco Cash Rebate Card. This card offered tiered cash back bonuses for different amounts of spending by the customer. Each customer would get 0.25% cash back on the first $2,000 in spend, 0.50% cash back on the next $5,500 you spend and 1.5% cash back on spend over $7,500. Later, the partnership introduced different cards with different cash back bonuses. They were also able to get cash back for certain purchases like gas, restaurants, travel purchases and, of course, offering more cash back for purchases made a Costco. If you currently have an American Express card through Costco, have no fear! This doesn’t mean that you won’t have an American Express credit card anymore. In fact, AmEx is likely to reach out to those with Costco credit cards and offer them similar cash back credit cards through the credit card company. So, don’t cancel your card. 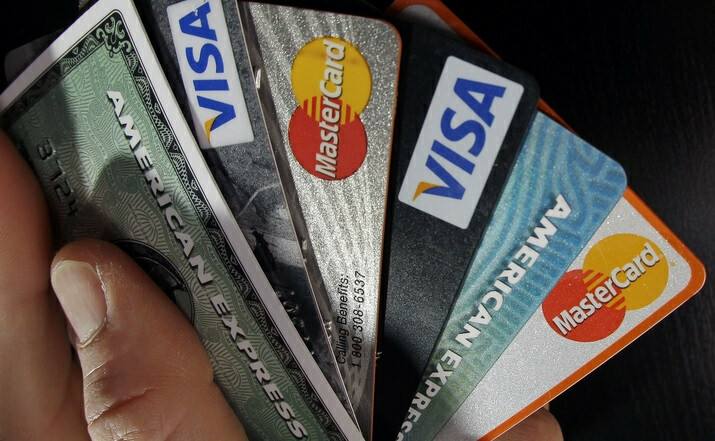 Cancelling a credit card can impact your credit. The new Costco credit cards will be offering the same rewards as the AmEx card. However, you will not be required to switch (just remember, if you get a new AmEx card, you cannot use it at Costco). You will have to apply for a Citibank card, just as you will have to reapply for an AmEx card if you choose to do so. Keep in mind that if you make both of these inquiries on your credit in a short period of time, it can negatively impact your credit score. Just because you shop at Costco doesn’t mean you have to have a Costco credit card. There are many other Visa cash back credit cards that are available to the public that will work at Costco locations after the switch has been made. You can look at the different Visa credit card options online and apply from the comfort of your own home. 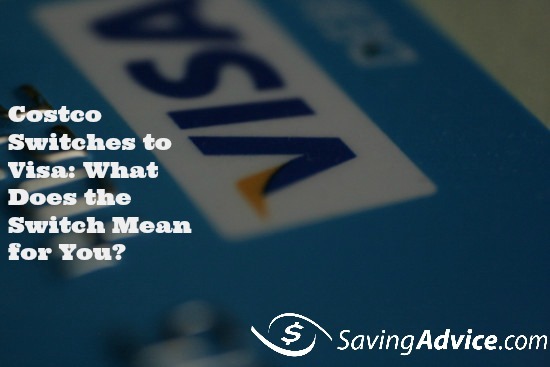 Just be sure that when you are choosing a credit card you are choosing it wisely. Choose cash back bonuses over travel bonuses. You may want to look at cards like the Chase Freedom Card, CapitalOne Quicksilver Card, BankAmericard Credit Card or one of the many others provided by Visa.